Back in 2016, shortly after I launched the very first Daughter of a Shepherd yarn, Dad called to say he had picked up a new flock of sheep with fleece so fine it glittered. In my dreams something reminiscent of Jason and the Argonauts and their quest to find The Golden Fleece sprang to mind rather than Dad slowly battling his way back up the M1 accompanied by a trailer laden down with irritable sheep. The sheep were Castlemilk Moorits, and if you are lucky to catch a glimpse of them, from a distance you'd be forgiven for thinking you spotted a deer so similar are they in shape, stature and colouring. 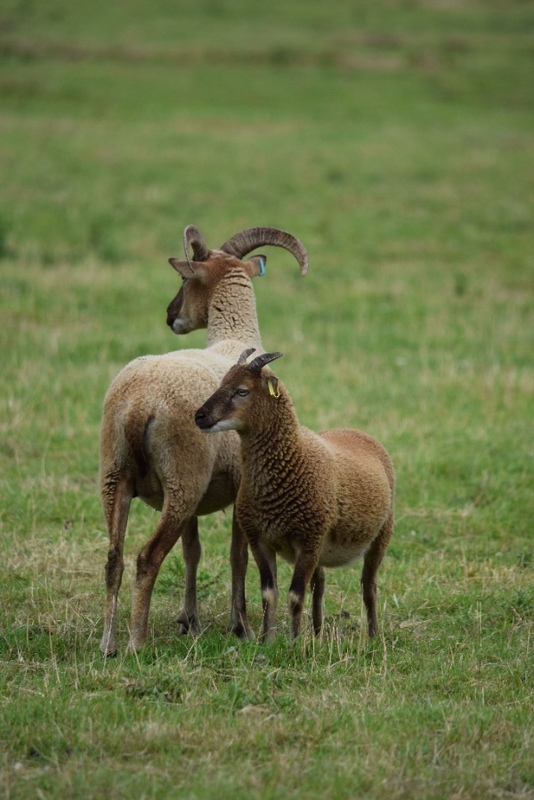 Currently placed in the At Risk category on the Rare Breeds Survival Trust Watchlist, Castlemilk Moorits emerged in the early Twentieth century when Sir Jock Buchanan-Jardine began a breeding programme on his Castlemik Estate in Dumfriesshire, Scotland. I passed signs for Castlemilk on my travels back and forth to the Hebrides and if there had been enough time would have stopped off to doff my newly acquired flat cap in the direction of the birthplace of these beautiful sheep. 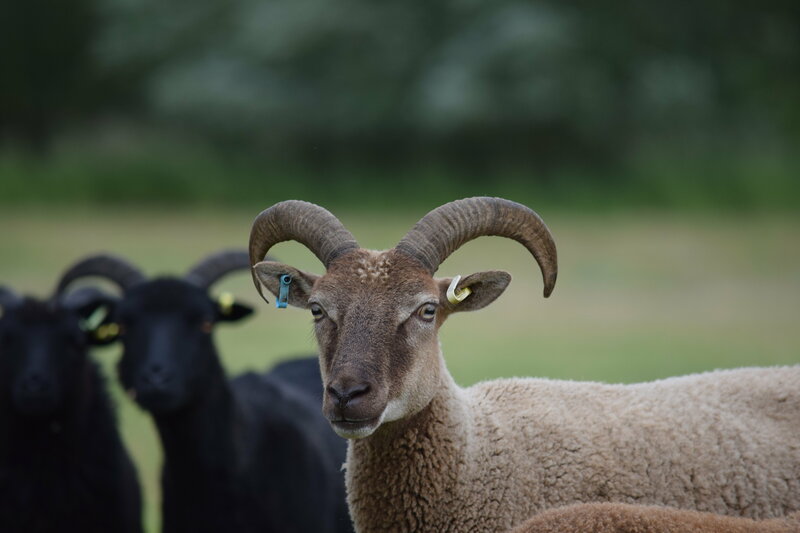 Bred specifically to enhance the grounds and provide fine wool for clothing his estate workers, Castlemilk Moorits are a cross between a Manx Loaghtan, moorit Shetland and the ancient Mouflon. Following Sir Jock's death in 1970 the majority of the flock was culled leaving just two breeding rams and a handful of ewes which all current Castlemilk Moorits can be traced back to. One of these rams was bought by renowned rare-breed supporter Joe Henson - the father of Adam Henson who you may know from BBC Countryfile programme - who in turn established the Castlemilk Moorit Society. 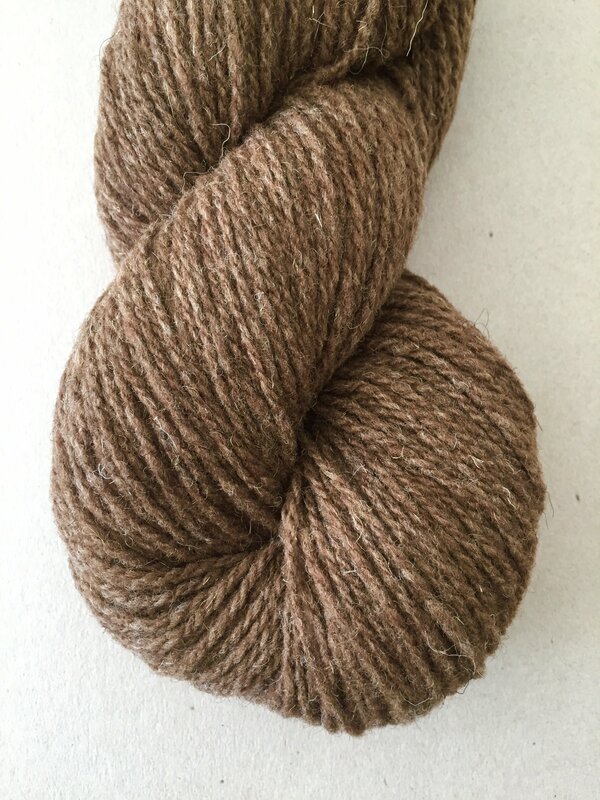 The spun colour is closer to that of the Castlemilk Moorit lambs; earthy tones of burnt caramel and dark spices with flashes of silver that give the yarn a natural melange and add movement to finished fabrics. The yarn itself is plush and bouncy and when knitted becomes a light yet resilient fabric perfect for layering garments such as sweaters, cardigans and vests, however it will also be perfect for large shawls, blankets and cosy accessories. After testing we found the yarn was suited to 20 stitches over 10 cm on a 4mm needle for stocking stitch, giving a flexible and functional fabric. However, when knit on a 4.5mm needle at 18 stitches over 10cm this opens the fabric for a gauge more suited to heavily cabled patterns. At the other end of the scale, the wool is happy to be knitted on a smaller needle to condense the stitches for firmer fabrics. This is a flexible yarn that will bring hours of swatching fun, and as the spin matches our Ram Jam yarn you can adjust the gauge of either to play with natural colour pattern combinations. Launching a new yarn is one of the most exciting parts of my job, equally it is one of the most terrifying because I always put my heart and soul into it. Whilst I run Daughter of a Shepherd by myself there are so many people I personally work with who make it possible; from the shepherds to the scourers, the spinners to the truckers, the graphic designer to the company who make the string for the tags, plus all the support I have from family, friends and my social media network which includes you. So thank you for making it possible and for continuing to support this incredible adventure. Castlemilk Moorit will be available from Daughter of a Shepherd stand I143 at Yarndale this weekend, 29th and 30th September, and then in the online store from Wednesday 3rd October at 20.00 (8pm) BST priced at £18.00 per skein. Greetings. Would you ship a skein to the United States? 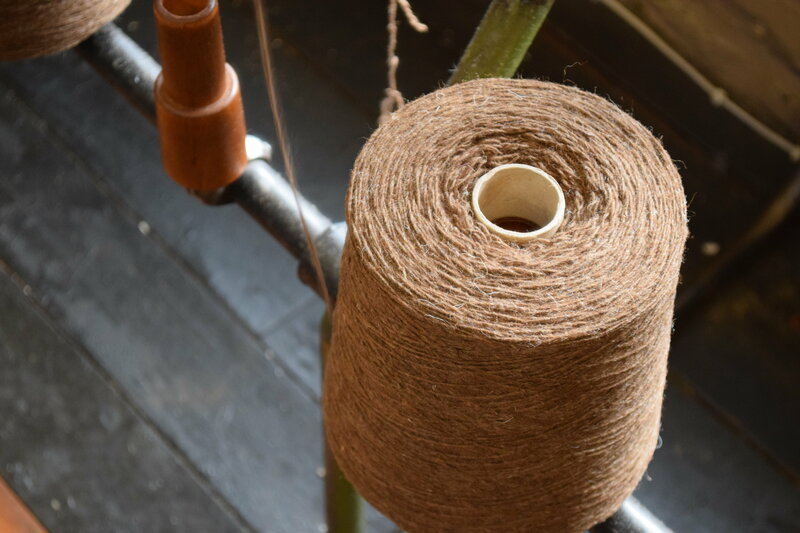 Can’t wait to grab some of this gorgeous wool, love the history and the natural color!